Last time I played Naruto Shippuden: Ultimate Ninja Storm 4, we were bounding across a large battlefield as big angry sword-toting toad Gamakichi, carving through countless hundreds of Ten-Tails Clones in a fantastically flashy riot of colour and squirting green blood. 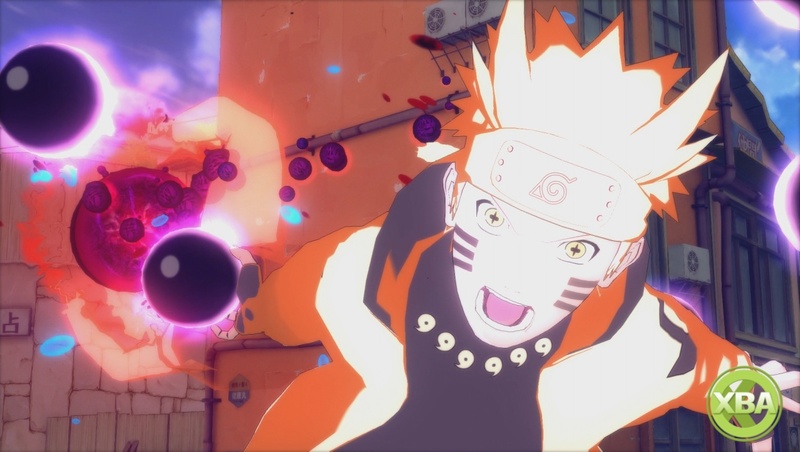 Naruto 4's E3 demo is an entirely different proposition, showcasing the game's versus mode in which the series' best-loved characters go head-to-head in a dynamic bout of fisticuffs. And the colourful, retina-searing look of the anime is still very much present and correct. Take a look at the revamped systems in Naruto Shippuden: Ultimate Ninja Storm 4 with Naruto, Sasuke, Sakura and Madara. The game's jutsus look fantastic, and with a huge playable roster, you can expect a whole range of different moves to master from the likes of Sakura, Madara, the Hokages and an array of others that Naruto fans will undoubtedly recognise. As the apparent final game in the Ninja Storm series, it seems that CyberConnect2 is ensuring that this is also the most definitive entry yet.